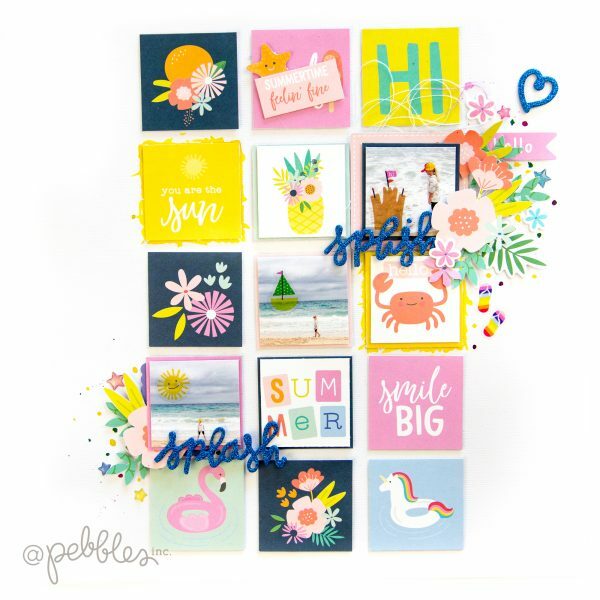 Splish and Splash with Terhi - Pebbles, Inc.
Hello lovely Pebbles Fans! 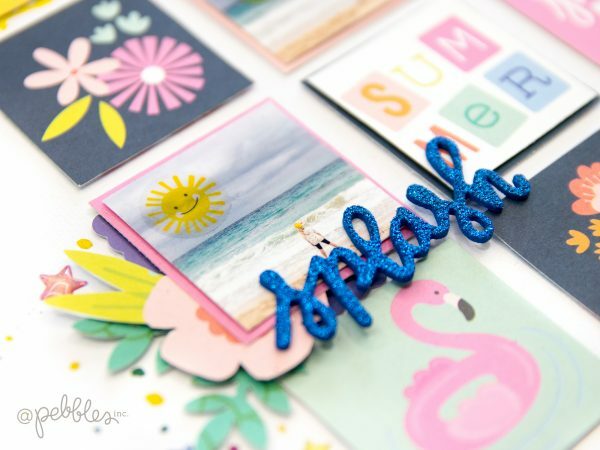 Terhi here again with another scrapbook layout using scraps and the, oh so wonderful, Oh Summertime collection! First, let me guess. We all have tons and tons of scraps and left overs in our drawers, or wherever each of us are storing the piles of patterned papers? Right? I do, and I agree! For me this is one of the problems which I have tried to solve in many ways. 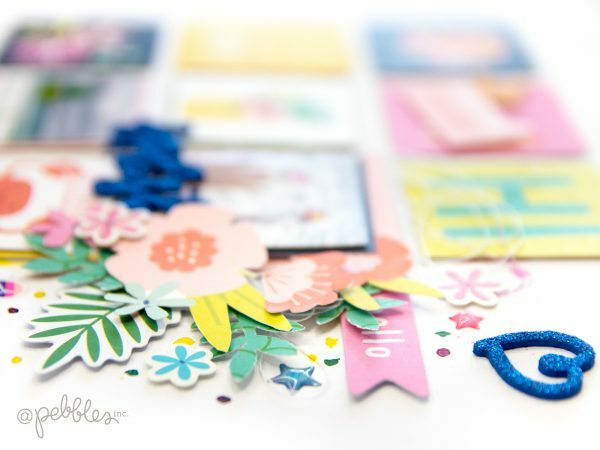 When I first started scrapbooking, each piece of paper was so precious I couldn’t even think to throw any away. I bought each paper I liked – which often meant way more than I needed. I used a piece of paper for one layout, then stored the rest and didn’t want to create another page with the same paper. Soon I had to start considering either scrapbooking quicker and more or really finding another way to store all. That’s when my sweet daughters came to help. I let them choose anything from my leftovers to their crafts and it was a perfect way to make all of us happy. Nowadays I have learned to buy supplies I only really love. It’s been working well, and my girls still likes to use my left overs. Sometimes I have shared some paper love to my nieces too. 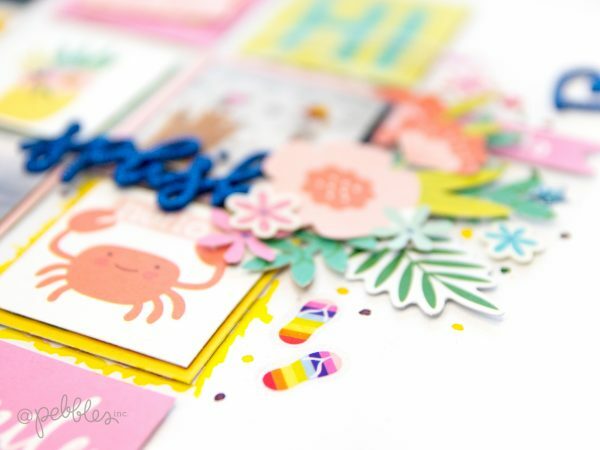 This layout was created with an idea of how to use scraps. 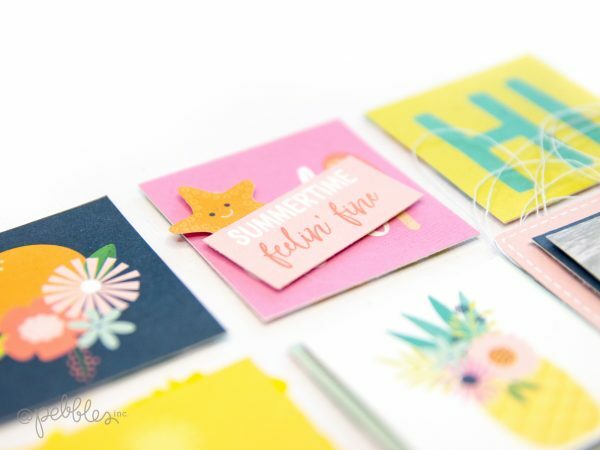 I used this Oh Summertime collection for the first time ever, so I didn’t have any real scraps at all. That’s why I took a paper with 2×2 squares and cut all out. That’s something that could be in my left overs. 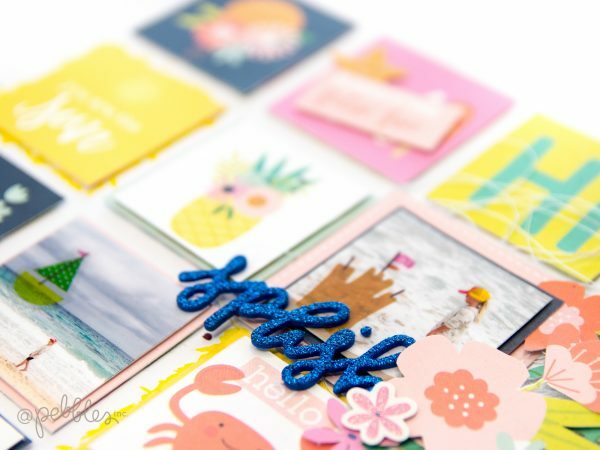 The easiest solution for small scraps is to go with a grid. Grid design can be strictly straight like mine here is, but just as much it can be mixed up. I used foam tape to attach each 2×2 piece onto white cardstock, and printed out couple of similar sized photos. Some of the 2×2 are left as they are, but next to each photograph is a cluster of embellishments to bring more attention. 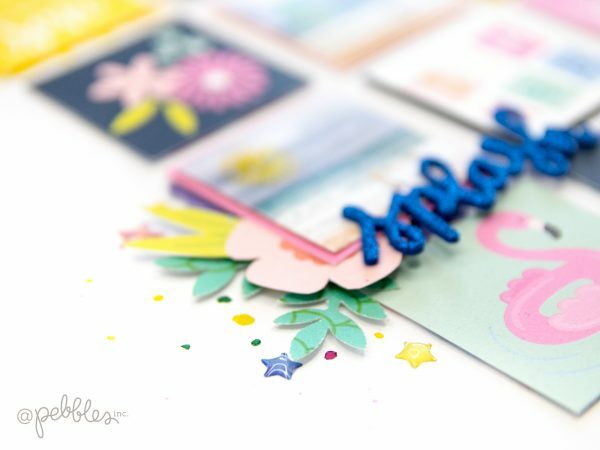 I fussy cut some blooms, and used my electronic cutting machine to cut some leaves to decorate the page. And finally there’s the Splish and Splash, which are absolutely favourite pieces of the collection for the glitter and dark blue color! What you do to your scraps? Do you save all? Do you throw all away? Let me know in the comments! Have a wonderful Wednesday!